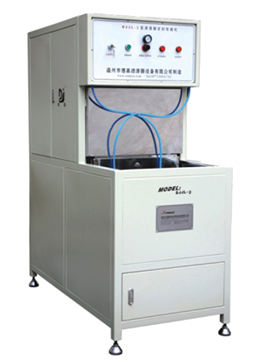 This machine is used to check the sealing performance of the spin-on filters. 3.The threaded connections and the sealing rings for the test stand can be changed for the different types of the spin-on filter in order to inspect the sealing performance for the different types of the oil and fuel filters. The threaded connection will be easy and quick to be changed.